Vital Questions on Religion Answered from questions asked to Swami Prabhavananda after classes, excerpted from Religion in Practice. Consolations From the letters of Swami Ramakrishnanda (specially recommended if you're sad and depressed). 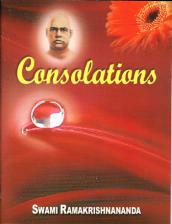 Consolations From the letters of Swami Ramakrishnanda (recommended if you're sad and depressed).